I have always been facinated with nature. Have gone for lots of Botany excursion in college. 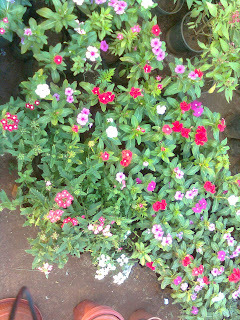 So when I saw these bunch of flower, I could not hold myslef and clicked the photos from the mobile on the roadside and some of the pics are from garden.